Experts believe the growing problem of bed bugs in the U.S. is due to increased travel, and the increased resistance of the pests to many pesticides. The environment that bed bugs require to thrive can be found inside your home. While the thought is cringe worthy, there are specific steps you can take to discourage them from infesting your home. Use the following tips to assist in making your home less attractive to these pests, and call The Bug Dude for treatment of an active infestation with pest control in Fort Worth. Bed bugs are elusive pests who like to hide in cracks and crevices. An area that you can slide a business card into is the hiding place of choice for a bed bug. Though named bed bugs, they are not limited to this location. However, it is one of their preferred locations, so check under the mattress, bed frame and the headboard. Inspect for small rust-colored spots on bed sheets, mattress tags, seams, and bed skirts. If you find a bed bug infestation, or the potential signs give us a call for professional pest control in Fort Worth. 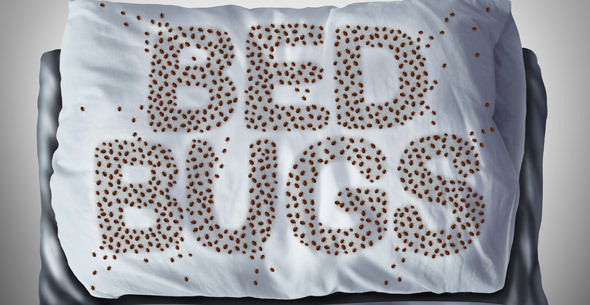 Bed bugs typically feed at night, but when an infestation exists, they can generally be found during the day within a 5-foot radius of the bed. During extermination, bed bugs will take refuge in power outlets until it is safe to come out. Plug unused power outlets with childproof safety plugs. Use the vacuum to help rid the home of these pests. Thoroughly vacuum all mattresses, box springs, and floors ensuring careful vacuuming of the crevice where the floor and wall meet. Inspect other furniture, and vacuum thoroughly if infestation is suspected. An abundance of caution is preferred in bed bug infestations. Vacuuming may nip a bed bug infestation before it gets out of control. After vacuuming is complete, remove the bag, place in a sealed trash bag, and dispose in the garbage can outdoors. For vacuums with removable canisters, empty them into a trash bag outdoors. This precautionary measure can prevent the pests from escaping back into your home. Clutter provides a safe sanctuary for bed bugs so tidy up. Organize and properly store items to prevent their becoming a refuge for bed bugs. If bedbugs are still present after you declutter and follow all other tips, contact us for professional pest control in Fort Worth. Vacuum-sealed bags are a solution for storing clothing and extra bedding such as sheets, quilts, and blankets. Not only will they keep the contents clean, dry and free from pests, they enable you to neatly organize and maximize closet and storage space. Monitor pet bedding for bed bugs. Select pet beds you can wash and dry on the highest setting. Be cautious of purchasing used items. Used furniture, clothing, electronics and other used items can appear clean, and harbor bed bugs. Remember to check the cracks, crevices and ventilation areas. Public laundry facilities are a haven for bed bugs, transferring them from one location to another. Consider using plastic garbage bags rather than an open laundry basket. Inspect rooms when staying in hotels. Inspect the bed, furniture, and artwork for signs of bed bugs. If bed bugs are in the room, ask to be moved far from its location, as adjacent rooms are likely to also be infested. When repacking for the trip home, carefully inspect the luggage for pests, and keep it off the bed. Do not store luggage in your bedroom when you return. Place clothing from the luggage in the dryer on the highest heat for 15 minutes after you return. If bed bugs are present after a vacation contact The Bug Dude for professional pest control in Fort Worth. Seal cracks and crevices on the outside and inside of your home. Inspect windows and screens for torn or damaged areas and repair or replace. If you already have a bed bug infestation, or suspect one, contact The Bug Dude for professional, and effective treatment. Scheduling routine pest control in Fort Worth is an essential component of preventing pests. Our professionals are trained and knowledgeable in identifying your home’s specific pest control needs. Furthermore, our technicians are up-to-date on the latest in pest control techniques, enabling us to provide a custom treatment plan for every situation. 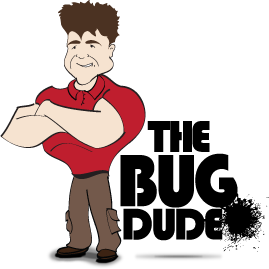 Contact The Bug Dude today for effective pest control in Fort Worth, Dallas, and the surrounding areas.